For the 17th time in 25 games City conceded an early goal, in this case the only goal of the game and one which changed the nature of the contest. 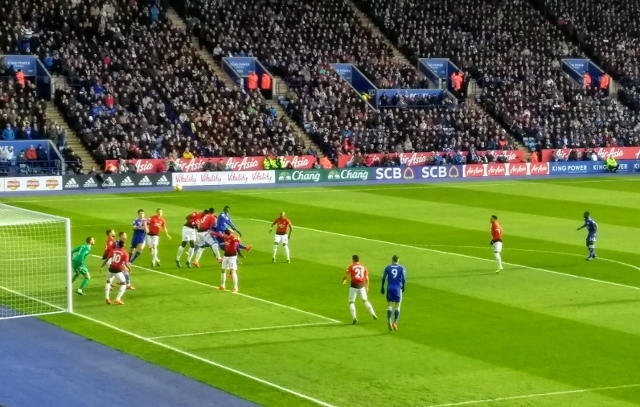 Man U had begun in lively fashion and Rashford missed a sitter when he headed over from close range having ghosted behind Maguire and Chilwell after a mere 4 minutes. Double that time and the Reds were in the lead courtesy of poor City defending. Ricardo had possession with no opponent anywhere near him and should have played the ball forward and wide, into space for Vardy. Instead he drove the ball powerfully inland and straight to Pogba. 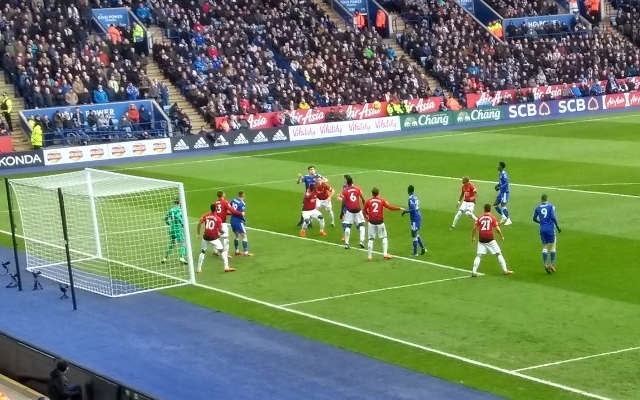 I am not a great fan of Pogba but he showed his class with quick control and a perfect chip to Rashford, once again in space behind and between Maguire and Chilwell who obviously learned nothing from the previous experience of losing track of a potentially lethal finisher. 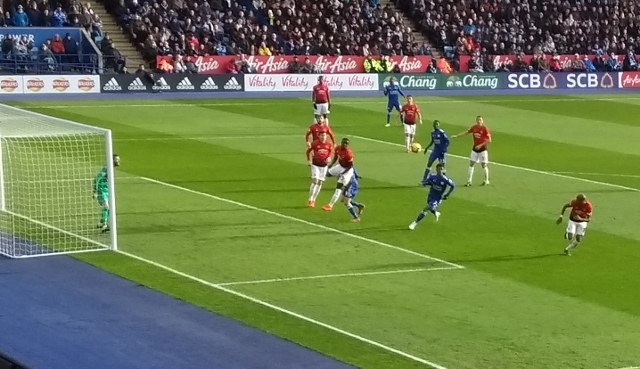 Credit to Rashford he despatched the ball past Schmeichel with the minimum of fuss and never looked like missing. From this point onwards United altered their tactics. City often do well against top side because such teams come to attack and in so doing leave themselves vulnerable to the counter-attack. 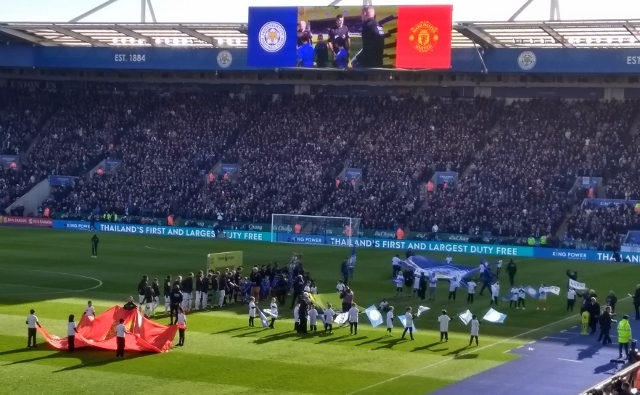 United were obviously aware of the threat of Leicester on the break so they contented themselves with making defence their first priority and as a result City found it hard to create real chances. Opportunities there were in the first half – Maddison delaying his shot and seeing it blocked, Evans heading over from a corner – but we never really looked as though we would score. 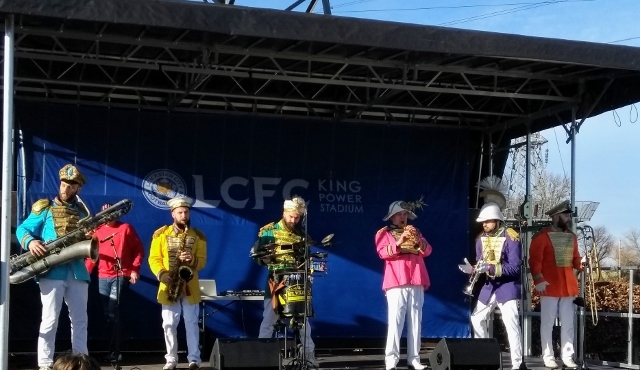 In truth the first half was as boring as the games against Cardiff and Southampton and the crowd fell menacingly silent. This frustration boiled over in the second half when Puel subbed Maddison for Ghezzal, a decision greeted with a storm of booing. 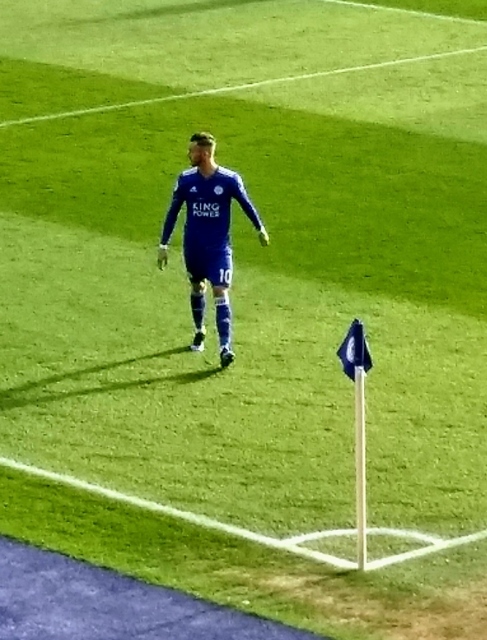 In fact Maddison had not had much influence on the game and Ghezzal showed up well but a section of the crowd have passed judgment on Puel and were not to be denied their voice. Ghezzal showed some clever touches and no little skill. His high moment came when curling a 25-yard free kick wonderfully towards the top corner only for De Gea to make a truly brilliant save. His weakness continues to be a lack of physicality and it remains to be seen whether he can be anything more than a poor man’s Mahrez. In fairness the second half was a lot more watchable than the first! City had several opportunities and Vardy, Maddison, Barnes and Maguire could all have scored but didn’t. None of these efforts was totally clear-cut but all were scoring opportunities which would have changed the game. I felt throughout the half that we would score another if only we could get one! A word of praise for Barnes playing in the absence of the injured Albrighton. He showed strength and pace and was as likely as anyone to make the break-through. Chilwell apparently rates him as a future England certainty! Unfortunately I cannot find a word of praise for referee Dean. The phrase he knows the laws but does not understand the game could have been coined for Dean. He booked six players in a largely non-physical contest and ruled by fear. If ever a referee needed to be sent on a Managing Players awareness course it is Dean, sitting next to Jon Moss of course.